Recent controversy over a natural gas pipeline blockade and the differing priorities of hereditary chiefs and elected band councillors illustrates a fundamental problem with our systems of governance and economics. Elected councils for the Wet’suwet’en and other Indigenous bands have signed lucrative “impact benefit agreements” with TransCanada (now called TC Energy), builder of the Coastal GasLink pipeline that would bring fracked gas 670 kilometres from Dawson Creek, B.C., to an LNG Canada liquefaction plant at Kitimat. (A consortium that includes state-controlled Malaysian, Chinese and Korean companies owns LNG Canada.) 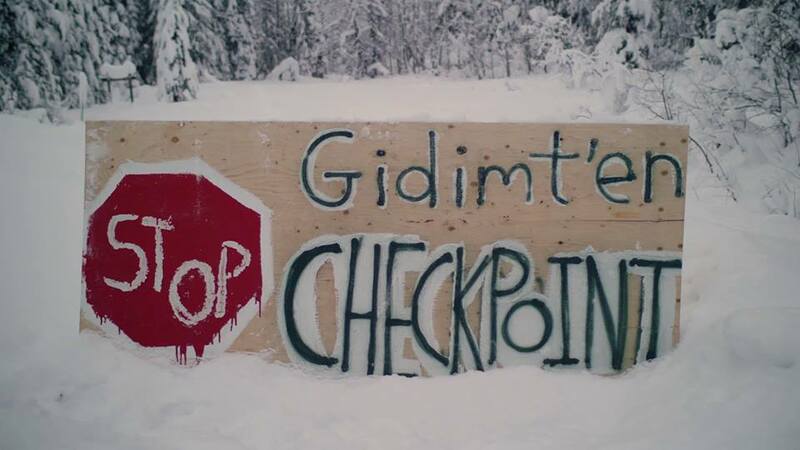 Wet’suwet’en hereditary chiefs oppose pipeline projects that threaten the health and well-being of people who live in the territory, which they have never ceded or surrendered. Governments of B.C. and Canada claim agreements with elected band councils constitute consent, even though Supreme Court cases — including 1997’s Delgamuukw versus the Queen, which involved the Gitxsan and Wet’suwet’en — have recognized traditional governance forms, including the hereditary chief and clan system, on traditional territories. Elected band councils are more like municipal councils that have limited jurisdiction only over reserve lands. The hereditary chief system was in place long before settlers and colonizers arrived. Chiefs, clans and house groups are responsible to the land and the people, and chiefs can be removed if they fail to fulfil their duties. The band council system is a product of the Indian Act, which also gave us residential schools. The councils can’t be faulted for signing the agreements. Money and jobs are needed to support communities that struggle under the current economic system. But pipelines and other fossil fuel projects provide mostly short-term jobs and economic benefits, mainly related to pipeline construction. As with many elected bodies, it’s difficult for the councils to look beyond immediate priorities and election-cycle timelines. Canada and B.C. have made important commitments to reconciliation with Indigenous Peoples and have agreed to the principles of the UN Declaration on the Rights of Indigenous Peoples. Forcefully removing people from their own territories to give the fossil fuel industry right of way flies in the face of those commitments. Just as the Wet’suwet’en hereditary chiefs and land defenders are bringing much-needed awareness to the issues we all face with environmental degradation, short-term economic policies and climate disruption, our governments must commit to protecting all peoples’ interests, not just those at large fossil fuel corporations. Expanding oilsands production, offshore drilling, fracked natural gas and pipelines keep us on a path detrimental to reconciliation with Indigenous Peoples and to the future of all people. We must stand with the chiefs and land defenders in their efforts to protect the land, water and air that we all rely on for health, well-being and survival. David Suzuki is a scientist, broadcaster, author and co-founder of the David Suzuki Foundation. Written with contributions from David Suzuki Foundation Senior Editor Ian Hanington.